Well, Sony have just announced a new full-frame mirrorless camera, with an interchangeable lens mount (Sony E Mount). The E-mount is the new mount from Sony, which the NEX series of cameras have been using exclusively until this point. To date, all E-mount lenses have been APS-C designed; i.e. their resultant image circle is designed to fall onto an APS-C digital sensor, and not a full-frame one. Sony have announced an FE set of lenses, which will cover a full-frame sensor. Two primes are of particular interest to me; the 35/2,8 and the 55/1,8 - both of which are Zeiss lenses (you can tell as I am using commas rather than full-stops to denote aperture). I am fortunate enough to own a Sony RX1, which has an amazing 35/2 lens fused to its body. I've never used a better lens, nor sensor. It's my first full-frame camera, and I don't think I could go back to anything less as my daily camera. The silent shutter of the RX1 is a big deal. I can take a picture anywhere, of anything, without being noticed. The camera is small, and there is no audiable signature when taking a photo. The A7(R) might not be so good for nature or street photography, if it's as loud as it seems. The new A7(R) cameras certainly have their work cut out. My conundrum is that if I were to replace my RX1 with the A7(R) and 35/2,8, I may lose some of the performance I've become used to with the RX1 and its 35/2. 2,8 -> 2 is a full "stop". That's significant. However, I do own a Voigtländer 35/1.4 lens, which covers a full-frame image circle (it's design for Leica's M-mount). That should do nicely (though I would lose autofocus). I am more interested in the 55/1,8 lens. Another Zeiss beauty, the MTF curve (lens performance) looks out-of-this-world. It also appears to have very good results. If I were to buy the A7(R), then that lens would also be in the shopping cart. The question, then, is whether the RX1 still has a place in my bag? Right now, I am inclined to think that yes, it does. The only thing stopping me from preordering an A7(R) right now, is money. I still have my APS-C NEX-7, which is in as new condition. I surely couldn't justify keeping the NEX-7 too, so that would definitely go. In doing so, I would lose the super high pixel density I am currently afforded with both full-frame and crop lenses. That is to say, that if I use an APS-C crop lens on an A7(R), I will have fewer megapixels than if I were to use an NEX-7. The NEX-7 arguably still wins for telephoto (though I do not use telephoto so much). 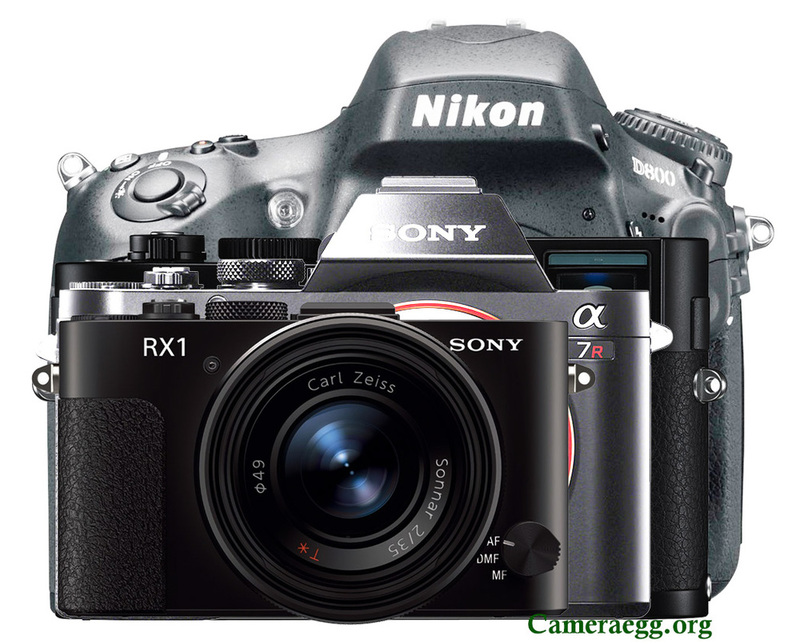 If I were to buy the A7(R), I would want it to do something which my RX1 cannot currently give me. Namely, super wide, and telephoto. Something like a Voigtländer 12mm or 15mm would be great fun to use on full-frame (some test shots of the A7R and Voigtländer 12mm in post 13, here). Telephoto wise, the 55/1,8 might cut it, but an 85mm or 135mm could also be fun to use. One final thought; the A7 or A7R debate is not just about the camera bodies; it's about lenses. In fact, it's arguably more about lenses than bodies. There's a chance that any non-FE lenses (e.g. Leica) on the A7R 36Mp sensor may be closer to the 24Mp sensor (A7) than one may expect: if the RF lens has a resolution of 100 lines per mm, it can only resolve up to about 28Mp. These rangefinder lenses were never designed to be used with 36MP sensors (and their output will vary). Another spanner in the works? Sony is infamous for their lack of E-mount lenses, and unless there is a good spread of FE lenses, perhaps the A7 is the smarter buy? The jury is still out (but is it really just the finance department?). As more and more photographers are spending time with the A7(R) cameras, we're seeing more and more interesting lens combinations see the light of day (ho ho). One huge concern/hope for the community is for a camera body which works well with ultra-wide lenses (≤ 24mm), that is neither enormous (e.g. D800) nor costs the earth (e.g. Leica M9). There is a crowd of people, of which I am a member, who like to use small rangefinder lenses on mirrorless camera bodies. I own the Voigtländer Nokton Classic 35mm F1.4, which is miniscule (pictured below on my MacBook Pro). I enjoy the image output, and lens characteristics immensely. It handles well on my NEX-7, where it has an effective field of view in 'full-frame' terms, of 52mm. This is because the NEX-7 has an APS-C sensor, 1.5 times smaller than 'full frame' and thus only the central part of the projected image falls onto a sensor (and light from all four sides falls outside of the sensor, and is not recorded). This crop-factor means that APS-C is well-suited for telephoto (long range) photography (where 300mm lens on full frame becomes 450mm), but is less desirable for wide-angle photography (where 16mm on full frame becomes 24mm). This disparity is further exaggerated by the micro-four-thirds camera offerings of Olympus et al. Thus, a full frame mirrorless camera will truly have very wide, wide-angle lenses. The Voigtländer 12mm will be (a full frame equivalent of) 12mm. This is great for architects, landscape photographers, or anyone wanting to shoot wide-angle. Smearing, colour shifts & purple fringing... I won't go into all of the details, but the upshot is that these rangefinder lenses were originally designed for film cameras, and film is not sensitive to the angle of incident light. Image sensors are. Heavily. Each photosite (pixel) not only has an optimum angle of incidence, but also angles which cause undesirable side-effects. Some lenses appear to result in photos with considerable degradation in the corners, be it smearing or colour-shifts. The latter can be corrected in software, but the former is irreversible. I recommend checking out this gallery on Flickr showing the Cosina Voigtländer 12mm, 15mm, and 21mm on the Sony A7R. People with a heavy investment in rangefinder glass, or wanting to specifically shoot wide, would be wise to wait until more extensive testing is performed before pre-ordering this camera. I have not seen much information on Sony themselves releasing wide-angle lenses, and though it is only a small segment of the market, it's an important one. If Sony themselves do not manage to address this current technological hurdle, it's only a matter of time for another camera manufacturer to steal the gauntlet and become the new budget Leica and darling of the rangefinder community.